The whole article and argument hinges upon the educational reporting, grading and enrolment in western education. You can’t deal with that level of utter, total idiocy. Like trying to gauge tractor production in the USSR. Isn’t *most* biological diversity within racial groups? On the subject of regression to the mean, and population substructure. It might be interesting to think of Gregory Clarks book “the son also rises” which talks about how incredibly slowly family’s regress to the general mean of the population. If Blacks from Africa are a self selected elite, and display some endogmany ( assertive mating with there own population) one would expect there regression to the mean of there own population to be incredibly slow, and for a non trivial amount of the members of that group-for whatever reason- to trend upwards towards becoming a new elite. For what its worth, I think far too many HBD’s focus on race, in part because of political concerns. I know the old cliché about individual variation being greater than race variation. I wonder if sub group variation -even down to the family level- is greater than big group (ie race) variation. I suspect if one wanted to compare apples to apples here, you’d want to know what percentile of the ‘host or main’ population the African immigrants to the UK and US are, with regard to whatever trait interests you (in this case iq and education presumably), and compare them with a similar percentile in a population u wish to measure them against. If that was your thing. The good I hope comes from learning about HBD is that we can get real about what sort of social interventions might actually help people and improve the quality of human life. IF people learn about how ‘social class’ is a confounding variable in HBD they might lesson the interest in race and equality of outcomes, and increase there interest in helping people and making the human experience better. It’s very complicated. On average, the bigger the genetic difference between two populations, the more they will differ in phenotypic traits. However, it is possible that two populations are genetically almost identical yet very different in some phenotypic measure. On the other hand, two very different populations (e.g. races) can have the same phenotype. An example of the latter is the dark skin of Australian Aboriginals and Africans, which are the most genetically diverging groups. Similarly, within the same country with very tiny genetic differences, we observe striking differences in some traits. For example, the British and the Dutch are genetically almost identical, yet when it comes to height, the Dutch stand almost a full SD taller than their British counterparts. Some African tribes on the other hand are as tall as the Dutch, others (e.g. Pygmy) are much shorter, etc. Even within Germany, height differs by almost a SD even between neighbouring countries. There are so many factors that affect a phenotype, which are related to social class, wealth, assortative mating, inbreeding, sub-population structure, and race is only one of several factors. You agree that people are different yet seem distressed when they focus on different parts of the same information. It is entirely possible that many, even most people when exposed to the ideas of this blog will not have the tolerance or interest in the nuanced understanding of human behavior that you have. Many feel like they’ve been lied to for their whole lives, told over and over again that everyone is exactly the same and now here they are reading that No, actually people are very different at the group level as well as the individual level. I’d expect that what they focused on would be much more a function of their own brain than it would be of whatever you told them to focus on. The thing is, you’re a smart cookie, and I can’t decide whether you know that and make posts like this just to cover yourself or whether you truly are blind to this aspect of your own blog. If you are going to discuss topics of import to many, that impact race and ethnicity, then you have to be prepared for the nuts who will take your work and thoughts and use them as fodder for their own hatred and no amount of: “please don’t” is going to help. Personally I’m starting to understand why so many eastern religions reserved the highest truths for the most dedicated students. Not everyone is ready. Quite right. But as true as that is, there is still value in shaming people for doing it. To be frank, that post over at Unz’s was rather sophomoric. There were two obvious glaring holes that could have saved a lot of typing had they been caught. Anyway, I left a comment there. Shame them into clicking on Amren? I think you may be confusing science with politics. Geneticists have no interest in focusing on race as a social construct, but politicians have a very strong interest in using race as an advocacy tool. Politicizing race (scaremongering) is an effective means of garnering votes and ensuring incumbency, consequently this tactic confers an evolutionary advantage to persons with a political mindset and reliance on government for sustenance. Extreme focus on race is co-morbid with social parasitism. Since I am confused, I will comment. I am not sure what shaming has to do with science. I don’t know what Amren has to do with science. Now I am confused by your comment. I made no reference to shaming or Amren in my post. Perhaps you meant your reply for Sisyphean or Jayman. Obsession with “race” dogs our footsteps and, I expect will continue to. I think the following is well accepted science although it’s a composite. Now I don’t know, but I suspect that the ones you have left are the ones who are smarter than the person who designed the test. So when I deal with people in person or with their opinions I make the mental reservation that they are probably obsessed with race even if they don’e know it. And it’s something I need to guard against myself. I don’t see hbd chick, Sisyphean, Jayman or me confusing science with politics. Since I was confused by your comment that someone was confused, I thought you must be talking to me. “the Dutch stand almost a full SD taller than the British”: what’s astonishing is that that difference has come into being only in the last couple of generations. How could that be? It’s (I presume) a mystery. yeah, i do know that (and i do love cookies! (~_^) ). i know that for many individuals (too many, unfortunately, imho), my posts addressing these issues will just go zooming right over their heads. nothing i can do about that. but, i do live in hope that *some* individuals out there reading this who may *not* have thought or read about race not being *everything* in human biodiversity might get a bit of a revelation…and get interested and motivated in learning more about how hbd and evolution, etc., really work. One of the most interesting things that this girl said was that the genetic inheritance of greater intelligence seems to be a dominant feature (which is not the same as fixed) within this micro- sub-Saharan population. I learned in relation to regression to the mean that even the most intelligent individuals in a population of low collective intelligence, tend to produce less intelligent children, or even of intelligence level that approaches the average of its population. It never entered my head, perhaps because i did not understand right, maybe because i had internalized the idea that everything or almost everything is possible within the realm of genetics, just be an intense selection or selective emphasizing. And then i start reading Natural Selection, i concluded that this phenomenon is trivial, there is nothing anomalous in it. Starting from the idea that the phenotype for high intelligence needs of the meeting or agglomeration of many recessive traits, especially because it is demographically rare but also because it is complex (diverse), it makes sense that a couple of african-Americans who were born smart, but are derived from a diverse cognitive family, may have a greater tendency to have a more stupid offspring than a couple of intelligent Africans who are born from families, generally, with intelligent individuals. It is also interesting to analyse families before giving emphasis to larger groups as proto-races because it seems that in some families the genes for greater intelligence are prolific while in other families, there is greater variation and lower fixing this set of characteristics. Now having said that, some of the most fascinating genetic differences are at the level of micro race or ethnicity since these are evolutionary adaptations to human culture not nature, unlike macro racial differences which were largely caused by climate. This is a commendable idea and I hope your prediction is accurate. However, the pessimist in me feels compelled to point out the unpleasantness that it is currently mostly used by people to solidify their beliefs about the superiority of some groups over others. Indeed, some use it to contend that we shouldn’t help the wrong sort of people at all. As always, it’s not the facts, it’s what people do with them. Did the Blacks in Jamaica come from a different part of Africa than the Blacks in the US? Yes, I am actually pessimistic about a lot of things as well, but here is why I think there is reason for hope. The ‘biological virtues’ that might make one claim a group is superior to another-for example- IQ, non clannishness and social order ETC, correlate strongly with the groups and people who tend to attain power. And these virtues are themselves predictive of a likely hood to be pro social and helpful of the underclass. Consider the differences between the American south vs North. NOw having said that-the American south isn’t really what concerns me, ironically they are something of a mild underclass themselves in some need of help. The BIG threat imo is the radical LEFT. The more they moralize these issues the more they shut down genuine rational debate on there desire for state intervention to help people out. They don’t know it but in the long run the arguments they use in favor of social interventions will turn on there head and be used against them. Because much of the ‘facts’ that they wish to push to provide the moral basis for there position will turn out to be erroneous. One doesn’t have to be concerned about equality of outcome, they only need to be concerned with suffering and improving quality of life. Also I worry a lot about the effects of mass immigration, I am not anti immigrant. A country needs a certain amount of them, but if we create an underclass that is too large it might slow progress. By filtering our immigrants, we can create a bigger elite class, that is heterogeneous(different races, ethniticies etc) , I am more interested in seeing what this can do. The other basis for optimism is the rising affluence technology affords us, it might become relatively cheap in a few short decades to provide a decent life to nearly everyone. The cheaper it becomes, the harder it is to argue against. Having said that , I once again worry about what the left is currently doing to our economies. Eventually I hope genetic engineering can improve the human condition. The religious right is a concern, but it is more likely that the taboos the left sets up will be the real obstacle among the Cognitive elites. I can , if I wanted to speculate, think of many places where progress might fall apart, but in the long run it seems likely that human life will much improve-as has already been happening over the centuries. Also shout out to Jayman and HBD chick, been reading your blogs for a bit. Like you HBD I come from an Island west of England :D. Btw don’t compare The Irish to the American south as much as you do, even though they provide some ancestry there and share some similarities. AS someone who once lived in Ireland for years, I can tell you they are also very different than the American south. Most of Ireland is relatively left wing, they are more like NW Europeans -England-Norway-Finland, than they are like the Portugeuse or the Greeks. Granted they are not as elite strictly speaking as the Nw euros, somewhere in between, but leaning closer to NW Europe. Id be curious to hear what Jayman thinks about my claim that the far left, because it has more influence on the elites is more problematic (that word!) than the far right. I mean its pretty obvious that the far right has beliefs that are objectively worse( on average, cough communism), but they are mostly marginalized from the elite. Have a good day everyone :D.
Most people who are motivated by scientific goals do not view race as a controversial subject. On the other hand, many politicians (and politically-minded people in general) seek to make race a controversial issue so as to motivate desired voting patterns. If someone shows up at this board and is hypersensitive about race, then chances are that they are motivated more by social/political interests than scientific interests. I agree with the general idea of what you have said in this post. What I can’t figure out is who you were talking to in your 1st post. If you could go back and put an @ at the beginning of that post, what would follow it? My original comment was intended to address hbd chick’s lament about the overuse of race in discussing hbd. I was trying to suggest that this overuse is a consequence of political motivation in our society and not a facet of scientific inquiry. There will always be some people grinding an axe for a pet cause and this phenomena is just a form of cultural entropy that will always be a part of the background noise on the internet. I may not be ready, but will you expound on this a little more? Look at it this way, there are no bad people, only bad thoughts. Thou shalt not have racist thoughts is not the 11th commandment, but in a liberal democracy racism is condemned as bad. It is so bad that even racists will not claim the label. This means that the real fight of consequence is over what words or symbols indicate that the person has racist thoughts.We have a good example in the current events section of the news. It is now official doctrine that the display of the Confederate Battle Flag is racist. Hereafter, no further details or explanation will be considered or allowed. The Flag is indicative of racism. If you display it or defend its display you are a racist. This is official dogma now. There will be people of good and ill will that will refuse to accept the official doctrine, but the battle is over. The curators of symbols have some mopping up to do in the future (monuments, cemeteries, buildings, bridges, seals, historical documents, currency, etc.) but in the main it is over. If you have racist thoughts, keep them to yourself, besides, open and hostile expression of racism mucks up the democratic processes. On a related note, if you hear somebody say that we need to have a public discussion about race, don’t fall for it, that’s not really what they want. i’m not saying to ignore the ancient evolutionary histories. i’m just sayin’ that focusing on them exclusively (which is, from what i can tell, what an awful lot of hbd-ers do) is a gross error. Obviously the shorter ones all get drowned whenever the dike breaks. I’ve always wanted to find out more about the nature and nurture behind night people vs. morning people. No, but the Jamaicans may have more European ancestry while US blacks may have more African ancestry. Could happen I suppose. Maybe it will happen sometime after we get all that electricity from nuclear power plants that will be too cheap to meter. If the medicine doesn’t work, double the dosage. The economies are working just fine for most of the people with real power. This must be going on in unicorn land. Some people who seem to be knowledgeable spend a lot of their time worrying about how some freaks of nature have cut out the carnival middleman and market themselves directly to the consumer. If the Scots were originally “Irish” then they might share quite a bit, no? Now these hazel eyes are going to the atlas to look for an island. You made a mistake. East Asians do really not include Phillipinos or Indonesians. These two are of mixed racial origin with hundreds of races and ethnic mixtures within these areas. Chinese, Koreans and Japanese are considered East Asians – this is very clear from their own perception of race. The two examples you cited are examples of Southeast Asians and they have been grouped as such. This is like using North Africans or Turks as examples of Europeans, although they are all caucasian. You can not use a sub-race (white vs caucasian) in order to compare it to examples of large racial families. these virtues are themselves predictive of a likely hood to be pro social and helpful of the underclass. Wait for the noblesse oblige to kick in. Sure, why didn’t I think of that. Now where’s my atlas. It is quite amazing that someone with Chanda’s background can’t even get the concept of regression to the mean correct–I have taught 5th graders with a better grasp of math by far….. I thought this was one of the best and most appropriate comments. Diversity! Good for me! Good for you! Good for the ruling classes! Isn’t Jensen just plain wrong in his prediction, though? Just because children of European and African parents who have IQ’s of 130 are equally likely to have an IQ of 115 doesn’t mean Europeans and Africans are equally likely to have an IQ of 115. Or does it? This doesn’t make sense. Also, how can the fact that Igbo tribe members are more intelligent and successful than their peers regardless of whether they reside in England or Nigeria be evidence against heritability? That seems completely backward. @cracker1 I don’t think diversity is good or bad. I think if we are going to have standards for immigration they shouldn’t just be ‘white people only’. I want high IQ , talented people, this will of course have a disparate impact on who comes in and who doesn’t, but it will capture a lot of non whites. I am not saying that because they are diverse they will work wonders. I am saying because they are smart they might do interesting things, and they happen to be diverse. I’m pretty sure that’s backwards. You’re right it’s not an argument against heredity – opposite in fact. It’s an almost straw man argument against a kind of “hereditarian” who believe in a certain kind of heredity. It’s not quite a straw man because some people do seem to believe in that kind of heredity even though it makes no sense. His argument only really applies against the sort of person who thinks all white people must be smarter than all black people because the mean is different. I think the problem is partly that some people use these arguments to point score but mostly that the denial of reality within the dominant culture enrages a certain type of personality like a red rag to a bull. well, that was exactly my point. Well, OK. They sure as hell can’t do any worse than the current elite of which you speak. Heck, that makes one incredibly sympathetic to the Biafra republic. i’m not sure. i know that there are some differences in this regard, and that they’re starting to be cleared up with more and more historic and genetic research, but (unfortunately) i’m not up to speed on what’s known (or unknown) about the origins of jamaicans vs. african americans at this point. i agree. the people in ireland today are not exactly like the people of the american south. there are definitely differences. but i do think that the people in ireland are still quite clannish (maybe/probably especially the further west you go, away from dublin — northern ireland is its own special case (>.<) ). there is still a lot — a LOT — of patronage in ireland — much more than what you find in england or scandinavia. (just like in my hometown of chicago — the daley machine is a direct import of how things are done in ireland.) and there's some amount of corruption in ireland, too, but yeah — much less than what you find in greece. everybody is not on the take in ireland all of the time. you don’t have to slip your national healthcare service (hse) doctor a twenty whenever you have an appointment with him. 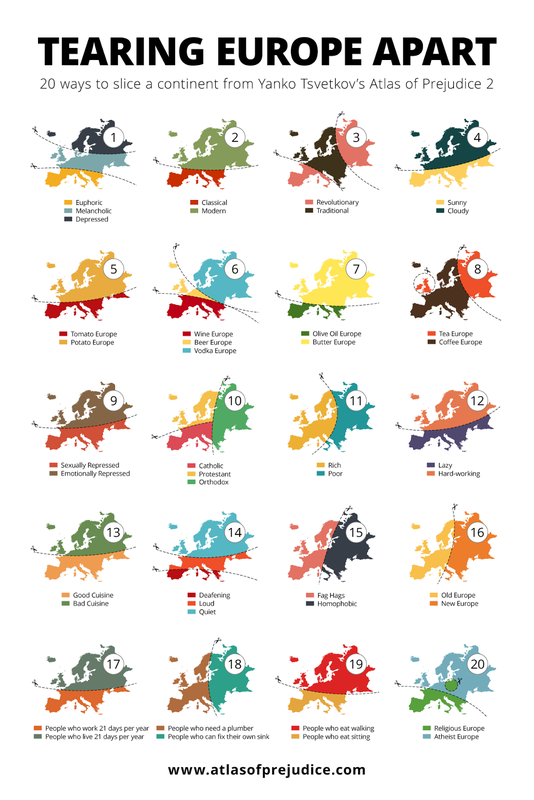 i’d place ireland somewhere in between greece/portugal and england/scandinavia as far as clannishness goes. Aye Ireland is a little bit more clannish than England or Scandinavia. But it is worth noting that it does very well in the international corruption index. Usually around 15th or so worldwide. I certainly never had to pay a bribe to anyone when living there, and that sort of activity was looked at by most people as being shameful. Ireland is clannish though, family loyalty and those sort of traits rank very highly there. Still its undergone such a fast change. Many traditional institutions like the Church are losing ground fast there. I guess what I am saying is that amongst societies/countries that are Clannish Ireland is an outlier. 1) ON the spectrum of clannishness it resembles the Brits more than it does the Greeks. 2) Ireland is one of the most welcoming countries to immigrants you can find. One finds them welcomed in all walks of life. I will grant that they are not distributed equally throughout the country though, and found more in main cities where people tend to be less clannish anyway. Which I am glad about, I kind of liked going into the old country side and seeing it , in some ways like it had been for centuries. In fact I got interested in HBD by looking at the Irish because they are such a strange population. I also found the NW euro societies interesting, and elite Indians( high end Brahmins ). OH and china , korea, japan! Especially china because they are becoming such a geopolitical force. Sometimes I think of NW Europe as something like a paradise -I recognize its not, but sometimes I lament our globalization trends ( even though rationally I recognize eventually the world has to come together). I wish immigration could be at sane levels without being called a racist. Then when we can edit our genome(scientifically and politically) then open the floodgates because at that point genetic societal confounds wont matter. We can make ‘paradise’ everywhere. Yes, personally I find the application of HBD the most fascinating aspect, we can command our future as a society with that scientific knowledge. >“the Dutch stand almost a full SD taller than the British”: what’s astonishing is that that difference has come into being only in the last couple of generations. How could that be? It’s (I presume) a mystery.